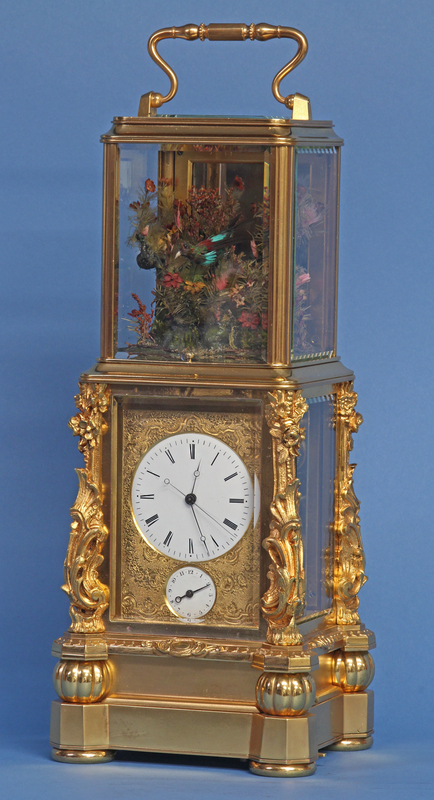 c.1860 Rare French Singing Bird Carriage Clock. 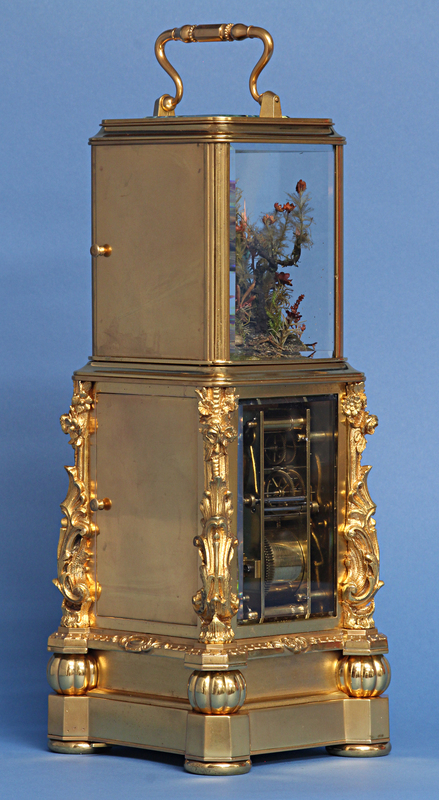 An exceptional singing bird carriage clock by Japy Frères. 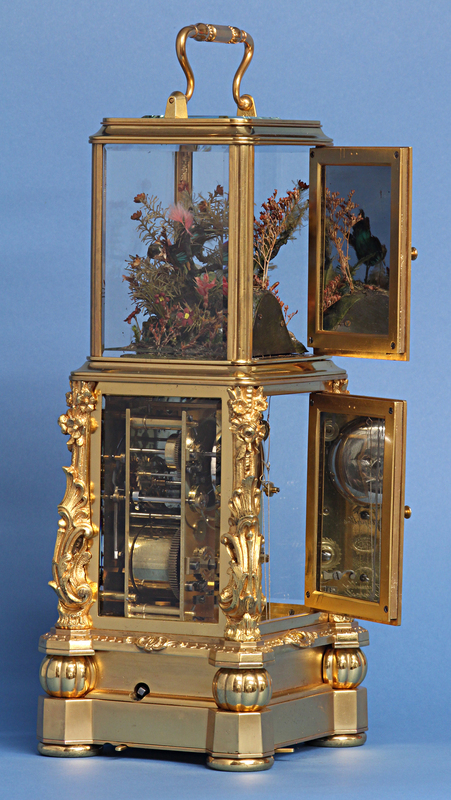 The bird tweets, rotates and bobs when either activated by the clock or on command. 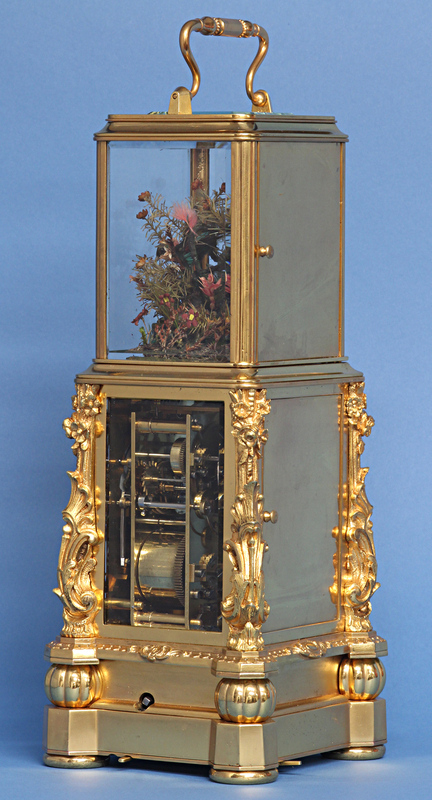 The gilt-bronze case has bold decorative corner mounts, cast decorative moldings, a stepped base with exaggerated corners, gadrooned balls and bun feet, mirrored doors above and below and the animated bird set within a naturalistic landscape in a simple glazed top section with a hinged handle. 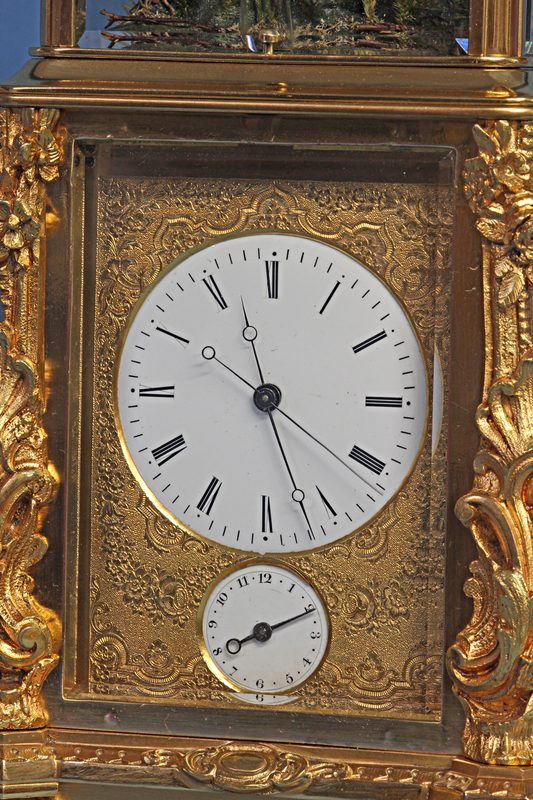 The finely lettered porcelain dials have Roman numerals for the hours, Arabic numbers for the alarm, finely cut steel hands including a sweep seconds bit and are framed by an elaborately engraved gilt-bronze mask. 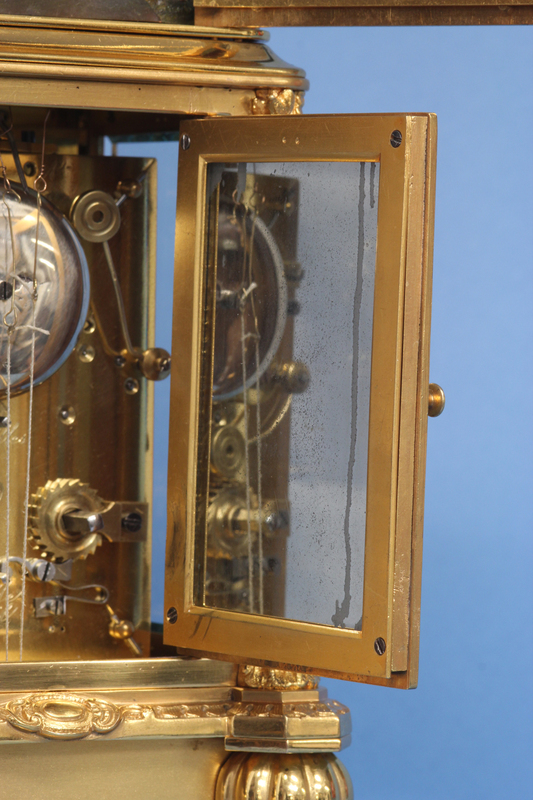 Clock Movement – The eight-day time, strike and alarm movement is wound and set off the backplate, carries the ‘Grand Med. 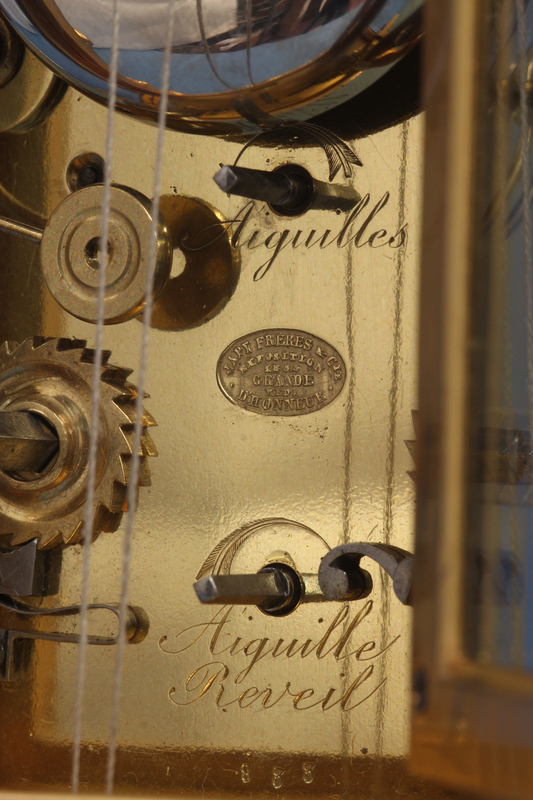 D’Honneur 1855’ Japy Freres stamp, is numbered 833, has a repeat button out the top, engraved indications and a horizontal balance platform with a Chinese duplex escapement. 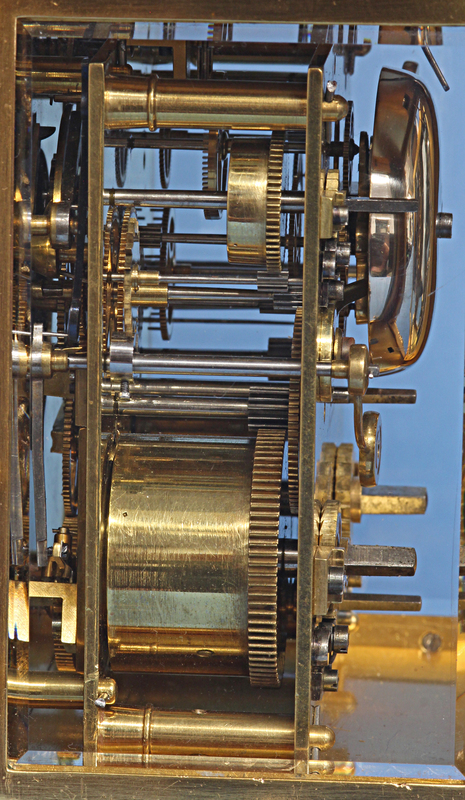 Animation Movement – The animation movement is housed in the base, is wound out the side and is activated by the clock movement at each hour or manually by a seperate lever. 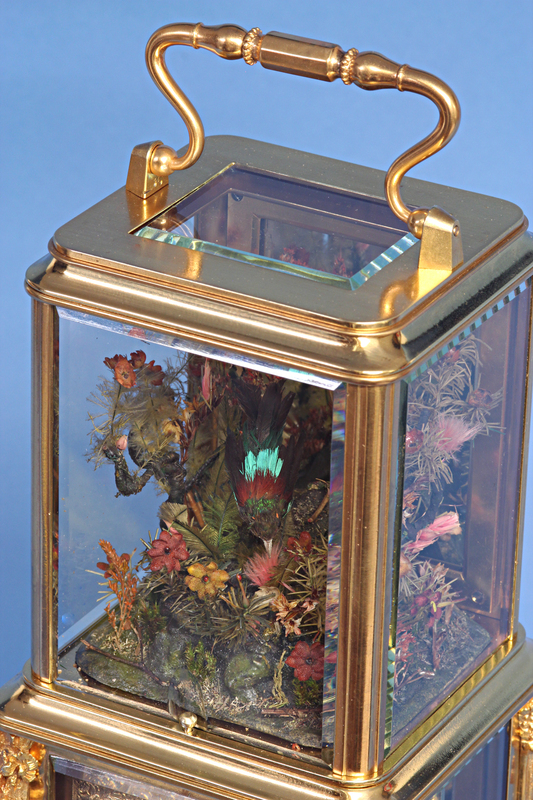 It is linked to the bird above by thin lines that travel up the back of the movement. 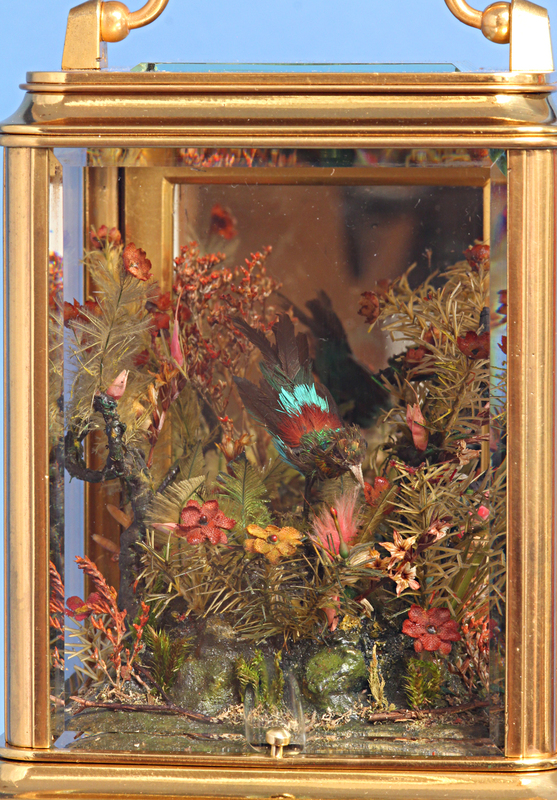 When activated it causes the bird to tweet and rotate side to side as it pecks the ground. It runs approximately 15 times on a single wind. 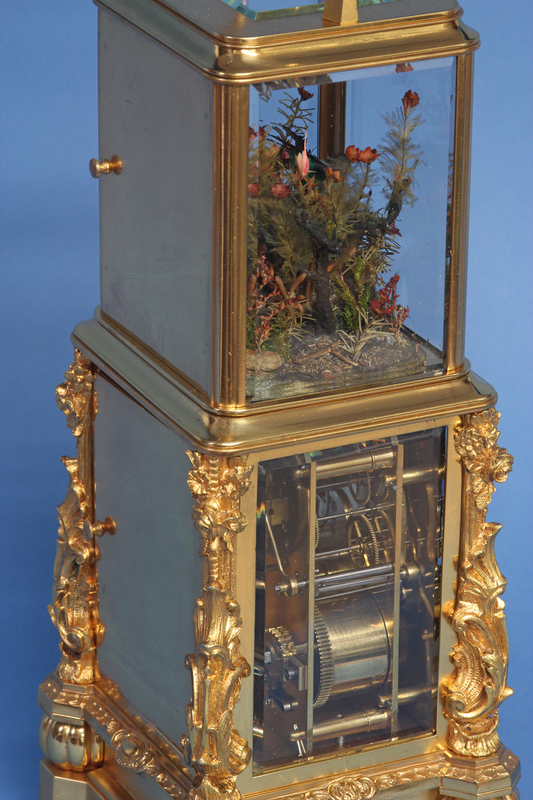 • ‘A Century of Fine Carriage clocks’, Fanelli, pg. 75. • ‘Flights of Fancy’, Bailly, pg. 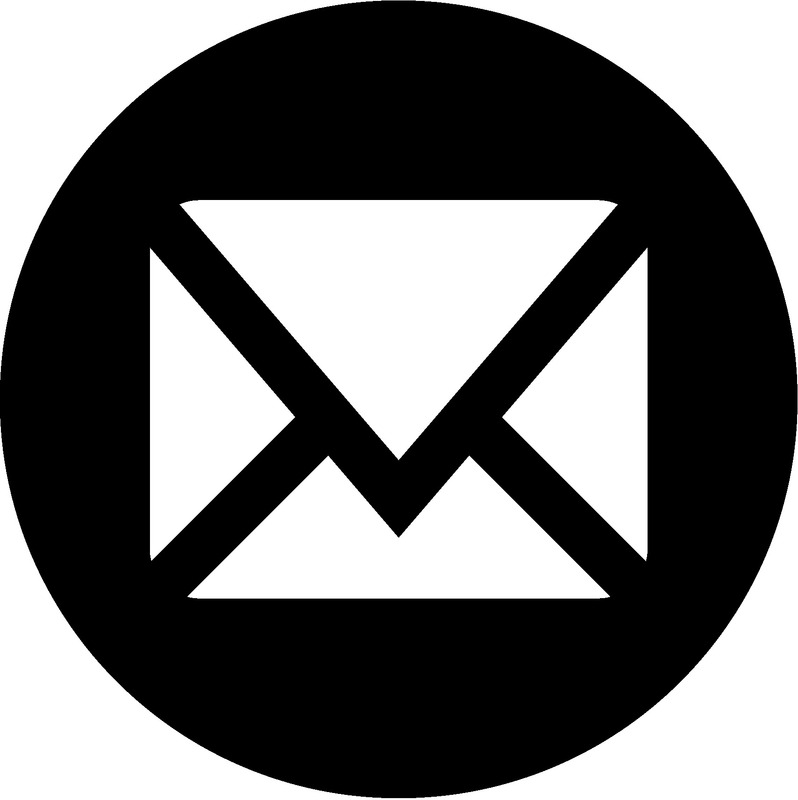 327. 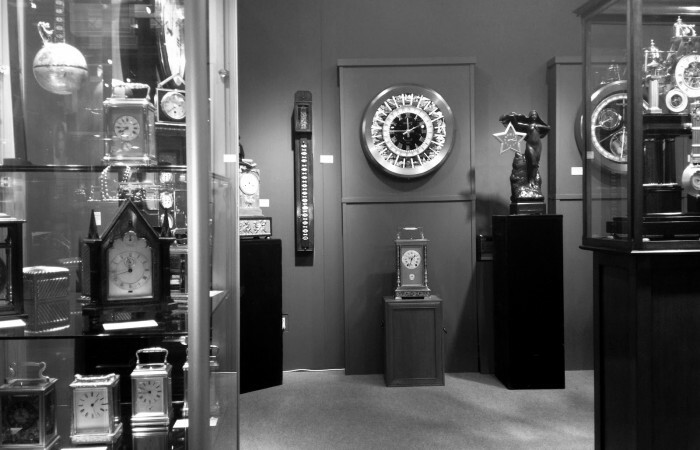 • Bonhams, July 2014, Fine Clocks, Sale 21930, Lot 29.